Ritual is an ordering app that connects users to their favorite restaurants and coffee shops. Founded in Toronto, Canada in 2014, Ritual is now available in many cities in Canada and the United States. Because Ritual focuses on using meals as a way to build relationships among co-workers and friends, the app has quickly become a favorite among many companies including Spotify, Soapbox, Osler, and more. With Ritual, users can order and pay through the app then pick up their order at the restaurant without having to wait in line. Users can also choose to have their order delivered straight to their home or workplace. And there are never any additional fees to take advantage of Ritual’s services! Ritual has different corporate programs such as lunch, after-hours, and wellness programs that make ordering food more convenient and enjoyable for employees and managers alike. How do Ritual’s corporate programs work? Companies and business owners can customize their budget and schedule. For instance, they can choose to give their employees $20 worth of Ritual credits every Monday. Ritual will issue those credits as scheduled via the Ritual app. The employees can then order meals using their credits. Ritual also helps build company culture through Piggyback, a feature that lets employees piggyback on their co-worker’s order. You can also earn additional reward points each time you host a Piggyback. Many CEOs and employers have noticed a huge change in their company’s culture since they started using Ritual. If you want to save big on your next Ritual order, keep an eye out for Ritual’s exclusive perks. Exclusive perks are discounted items at select restaurants and coffee shops that are only available to Ritual users. You can also earn Ritual reward points by completing certain tasks such as hosting Piggybacks, trying a new restaurant for the first time, referring your friends, and more. The points you earn can then be turned into Ritual credits that you can use towards your future orders. 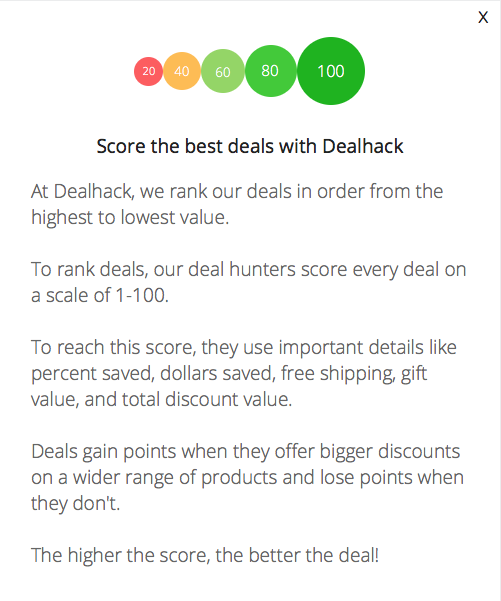 You can also find amazing Ritual deals and offers here at Dealhack. Do you have any questions or concerns about your Ritual account? Get in touch with Ritual’s customer service team through their mobile app, or by submitting a request on their website. To learn even more about Ritual and their different offers and promotions, connect with them on social media. You can find Ritual on Twitter, Facebook, and Instagram. Become a Ritual Elite member to earn additional reward points for every dollar you spend. When you make a certain number of orders within one month, you will automatically become a Ritual Elite member. To maintain your Ritual Elite membership, you will need to meet the required number of orders each month. Keep an eye out for Ritual’s exclusive perks to enjoy discounted meals from your area’s best restaurants. Visit the Perks section in your Ritual app to see all available offers in your area. Host a Piggyback to earn additional reward points! Hosting Piggybacks is also a great way to build stronger relationships with your co-workers and employees. Ritual has a referral program, which means you can earn rewards for every friend you successfully invite to try Ritual. Send your friends your referral code and have them input that code when they sign up for an account. You will automatically receive your rewards when your friend makes their first order. Earn Ritual reward points whenever you try out a new restaurant for the first time, host a Piggyback, or place your second order at a particular restaurant. The reward points you earn can be converted into Ritual credits, or you can use those points to get free food and drinks from your favorite restaurants. Download Ritual’s free mobile app to start using their service. You can pay through the app using your Ritual credits, or you can update your Ritual account with your credit card information for convenient paperless transactions. Ritual’s free app is available on the App Store and Google Play. What is Today's Best Ritual Coupon? Currently, the best Ritual coupon is 'Get $10 off when you download the Ritual app'. There is no code required to claim this offer. Ritual wants you to have the best experience possible. If you run into any problems or if you have a less than satisfactory experience using Ritual, feel free to contact Ritual’s customer service team so they can find a solution.